Budget Secretary Benjamin Diokno said cutting P75 billion from the budget of the Department of Public Works and Highways would cut jobs and delay the administration’s Build, Build, Build program. Diokno offered this assessment after the Senate deleted the amount from the 2019 national budget, in the wake of allegations that there were irregularities in the way he had inserted P75 billion into infrastructure projects. “That has an impact on employment, poverty. 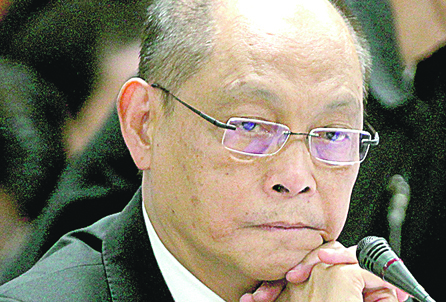 Because if you don’t get jobs, of course, you will be one of those who are poor,” Diokno said. The Palace on Tuesday said it could find the funds elsewhere if the P75 billion was cut. Opposition Senator Antonio Trillanes IV said revelations by Camarines Sur Rep. Rolando Andaya about irregularities in the budget process were a welcome development. In the last two years, it was only the opposition that disclosed anomalies, he said. Trillanes said the revelations mean people are now expecting an explanation from Diokno. “He cannot just bank on blanket denials. Because Congressman Andaya was also a former DBM secretary so he knows the ins and outs of the department,” he said. Aside from the P75 billion in insertions, Diokno is also being accused of turning his department into a “super-bidding body” that bid out P198 billion worth of projects last year for 20 different government agencies. He also said the DBM has become some sort of a one-stop mega-mall of government projects for contractors. The DBM is mandated by law to procure for the government commonly-used supplies such as envelopes, folders, pens, pencils, ink, computers and other office equipment because these are cheaper when bought in bulk. But Andaya said the DBM Procurement Service has also become involved in the bidding of big-ticket infrastructure projects that include the building of airports, railways, and mass transport systems as well as the purchase of military hardware, including helicopters. 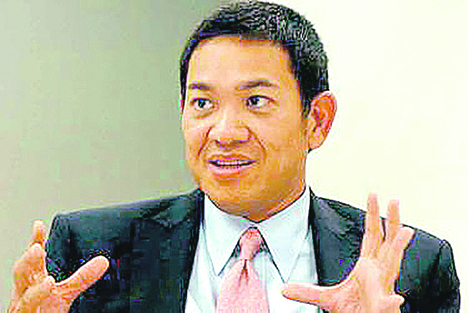 “Now, it has morphed into a super body responsible for the bidding of multi-billion government contracts,” said Andaya. “The DBM is responsible for the preparation of the National Expenditure Program. Now, under Secretary Diokno, the DBM not only allocates and disburses government funds. It now determines who gets government projects and who gets paid from public funds,” Andaya said. “The Congress has given the DBM-Procurement Service a P7-billion budget in 2018 for the procurement of commonly-used supplies. We have not given them the authority to conduct bidding for big-ticket government projects, the budget of which were lodged in other departments outside DBM,” he said. Andaya said Diokno is not telling the truth when he said the DBM does not get involved in the bidding and awarding of government contracts. “The DBM is not only involved but its officials themselves conduct the bidding and even recommend as to who will get the projects,” Andaya said. Andaya said Bingle Gutierrez, executive director of the DBM Procurement Service, told congressmen during the Tuesday hearing that several departments and government-owned and controlled corporations (GOCC) have allowed her office to conduct the bidding for the big-ticket infrastructure projects and other government contracts since 2017. “We have unknowingly opened a can of worms at the DBM. First, the P75-billion insertion unknown to the DPWH secretary. Then, the DBM funds finding their way to the firm of Secretary Diokno’s in-laws. Now, the DBM turning into a super-bidding body for more than P179 billion worth of government projects,” Andaya said. He said Gutierrez admitted that her office was responsible for bidding last year more than P198 billion worth of government contracts, including big-ticket infrastructure projects that form part of the Build, Build, Build Program, including P168.275 billion from the Department of Transportation. Gutierrez cited Republic Act No. 9184 or the Procurement Law as the DBM’s basis for conducting bidding for other department’s big-ticket projects, Andaya added.